As a leader in your organization and in your own life, you’re always looking for ways to get smarter, faster. Me, too. Podcasts are free & simple to use every day, everywhere. As a coach, writer, and leader of my own business, I’m always on the hunt for fresh ideas and inspiration, so I listen to podcasts on my walks and drives. I also listen while doing stuff I hate, like folding the laundry or taking dishes out of the dishwasher, and it makes those tasks fly by. I’ve listened to a lot of different casts in the past few years, but here are four of the best podcasts for leaders on my playlist right now. If you scan the list of top podcasts in almost any category, you’ll no doubt find one produced by NPR (National Public Radio in the US). With a long-standing tradition of gathering, writing, editing and producing top-quality stories that work on the radio, it’s a brilliant to leverage that same talent, equipment and experience to make it available via podcastland. And let’s not forget that repurposing much of their radio work also creates new avenues for revenue, since each podcast has sponsors. That creativity is a leadership lesson all on its own. But back to this specific selection. 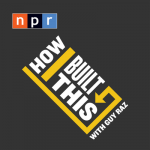 How I Built This features fun, breezy interviews with top-level business leaders who share true, unvarnished stories about what it took to get to where they are. Plus, they’ve increasingly added stories from folks who are just building something now. What these builders share is surprising. Human. Real. And I’ve noticed that all of the stories so far have themes of imperfection. Of fear. Of failure. Love this. Too often, we hold these business winners up on a pedestal, thinking they have something different or special about them that helped them succeed. Nope. This podcast shows you that they’re just like you and me. Give How I Built This a try here. “Show? I’m not in a show,” you might think. But let’s face facts. Every day in your life at work is a performance. And every leader I know needs to be able to speak and present with greater clarity and more confidence. 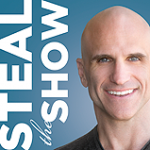 That’s the focus of this fun and fast-paced podcast, designed to help you “steal the show” in all the interactions in your work and life. I’ve had the honor of working with Michael both as a business coach and a speaking coach. As a trained actor turned best-selling business author, Michael teaches performance strategies and tips you can use in your next conference call or your next meeting. In recent casts, he’s expanded beyond the content in his book Steal the Show and now interviews interesting and lesser-known guests from around the world of business, the arts, and communication. But download the early episodes where he teaches rapid-fire public speaking lessons, like how to avoid filler words (um, ah) and how to have a “wow” beginning to any performance or presentation. Go Steal the Show here. Here’s another winner from our friends at NPR. 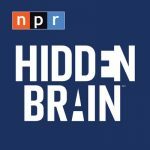 In Hidden Brain, social science reporter Shankar Vedantam shares mind-expanding stories about our unconscious biases, patterns, and assumptions. Unconscious bias is a super hot issue right now in corporate circles. It’s more than an ethics issue and more than a gender issue. As leaders, heightening our awareness around our biases can increase our emotional intelligence as well as our effectiveness. But it’s hard to accelerate this awareness just by reading the reams of research and sometimes annoying lecturing that’s going on around the topic. If you ever thought research was boring, Hidden Brain makes it fun. Listen to Hidden Brain here. Maybe this one’s an odd duck to include on a list of the best podcasts for leaders. But most leaders I know share one common malady–we have too much on our minds. Those spinning thoughts are especially annoying at night when you’re trying to get some zzzzzs. And increasingly, the research is clear that sleep is not a luxury–it’s essential to good brain and physical health. 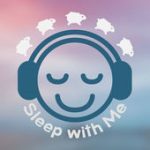 In each episode of Sleep with Me, Drew Ackerman (aka Dearest Scooter) tells you a rambling, irrelevant, and basically boring bedtime story. Sometimes he recounts episodes from Star Trek or from his favorite movies. But his unique drone tone never fails to pull my brain away from the day’s worries and into the night’s rest. Get some sleep with Sleep With Me here. YOUR TURN: What are YOUR best podcasts for leaders? Share your ideas on our Facebook page or email me your recommendations here.